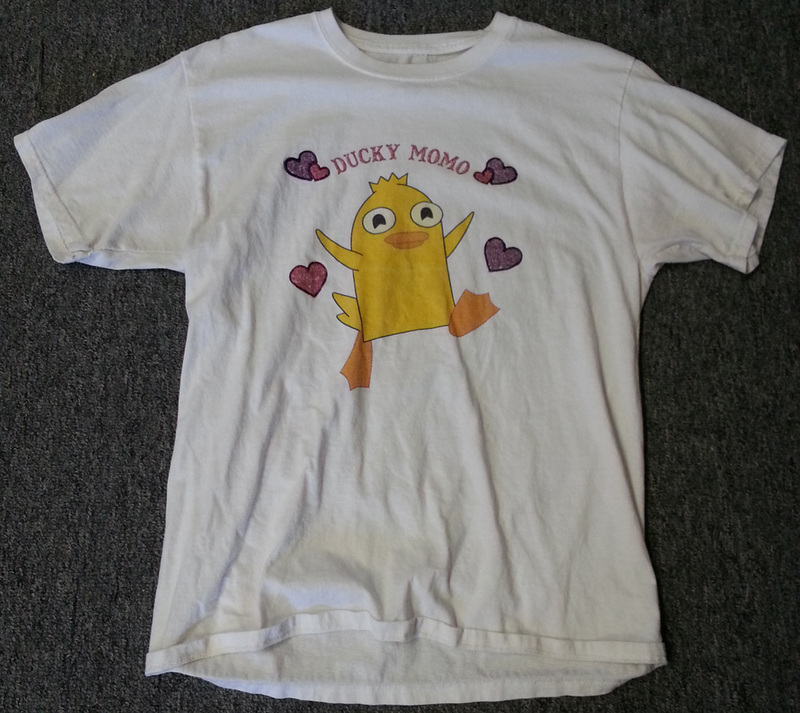 Update: For our December 2013 trip, I made my own Ducky Momo Mission Marvel T-shirt. 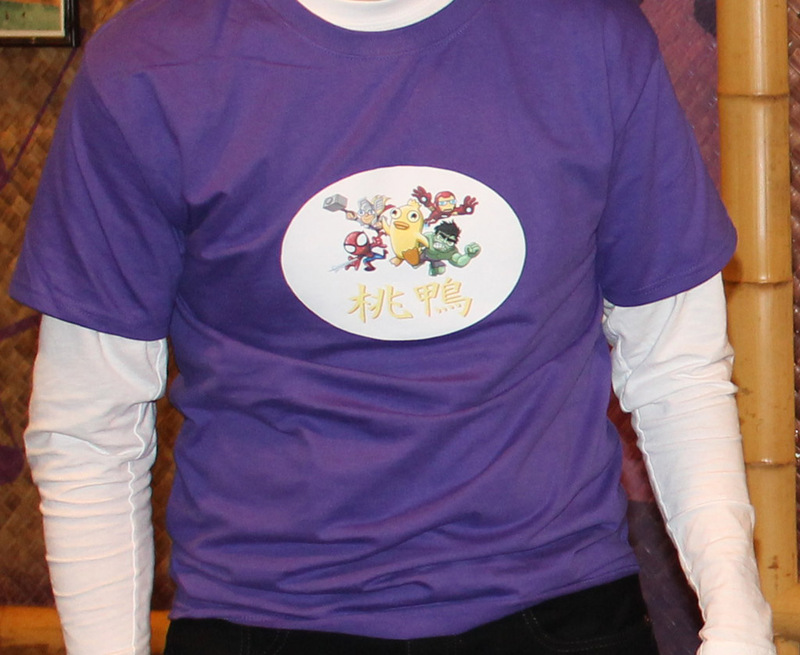 I have poor photoshop skills, so I got someone on Etsy to remove the background from this image. At first I tried to use a T-shirt printing place, but they all cancelled my orders due to copyright infringement. 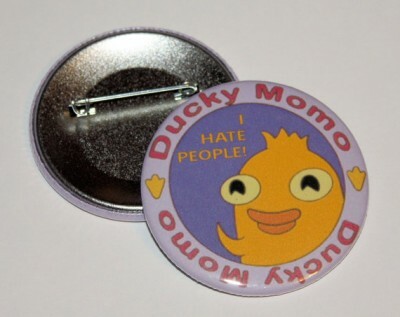 Well, show me where I can buy legit Ducky Momo merchandise and I will. I eventually ordered a purple T-shirt cheap from Hanes.com, got some Avery iron-on transfers (for dark T-shirts), and did it myself. If you want your own, here is the PNG file. It’s got a while oval background on top of a transparent background. Contact me if you want your own slightly different and want other files or advice. 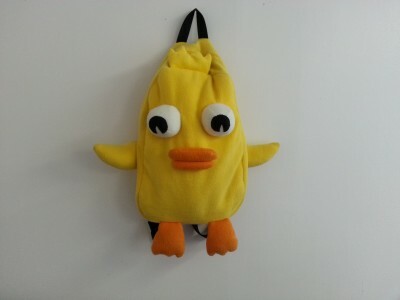 I communicated with GabbyDoodles and at the time she had 12″ Ducky Momo backpacks for children. Well, I wanted a full size one. At first we discussed a sturdier backpack with a 2D Ducky Momo on the back, but I eventually opted for the real deal, and knew I’d have to work hard to keep it from getting damaged. In October 2012 we went to Disneyland for 6 fun-filled days. We all had matching Ducky Momo T-shirts! My wife photoshopped the design (her being a skilled artist) based on an image we found on the Internet, and we had them printed at Zazzle.com. She then used glitter glue to make them sparkly. So our first day at Disneyland, we were all wearing Ducky Momo shirts, me with a Ducky Momo backpack, and inside was Ducky Momo himself. AT LEAST twenty times a day, children would call out “Ducky Momo!” as we made our way through Disneyland and DCA. 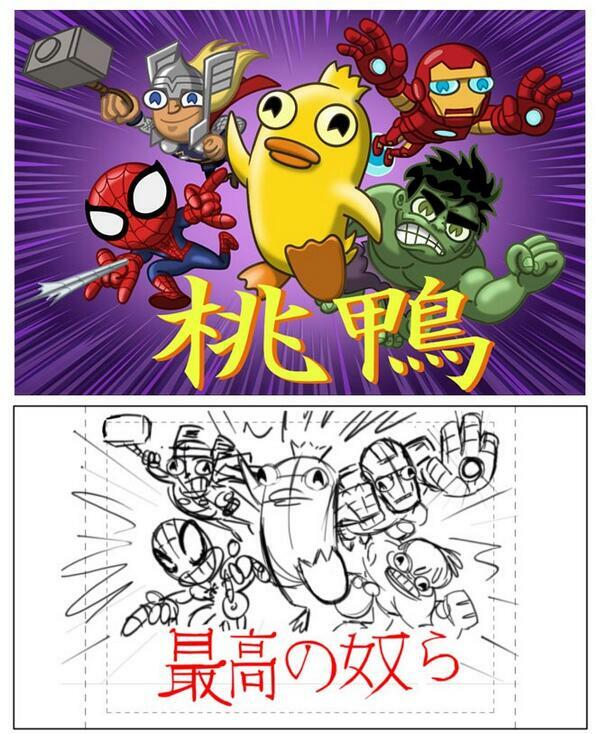 It was truly awesome. A fair number of cast members recognized him as well. The best was when they saw the backpack, but had no idea I had a real Ducky Momo inside, and I got to astound them with nested Momoness. Oh, the sheer Momosity of it all! this stuff, including the website, is awesome! wish the merchandise was for sale! Holy cow people! 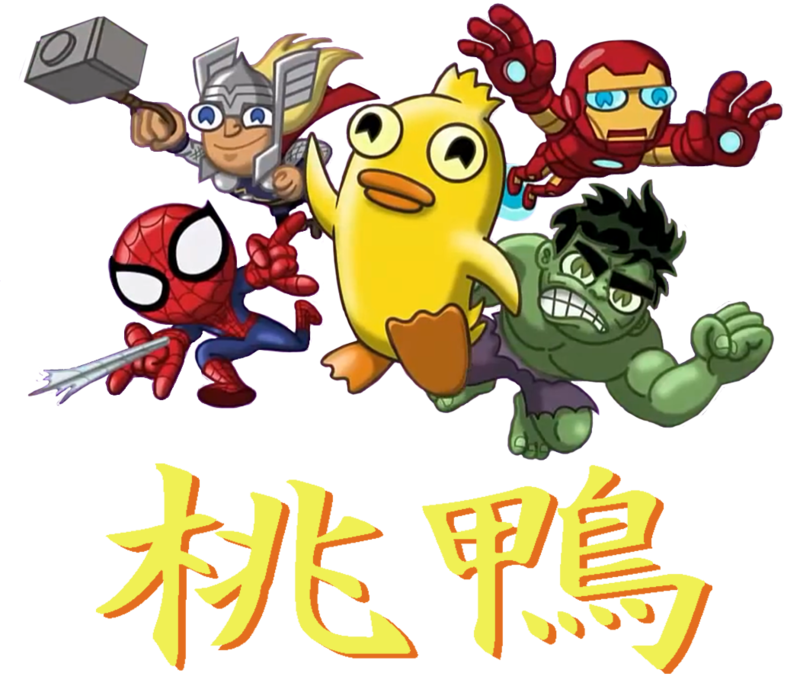 Just found this site my wife, 6 year old just watched our first Ducky MoMo episode! I googled and ended up here. I do not normally post comments especially negative ones, I can’t help it first of all as I read and realized the article was written by a full grown man. I could’ve let it go. Then I read all the comments! I hope they are satirical or honestly I hope everyone other than me who posted seriously consider professional mental health help!